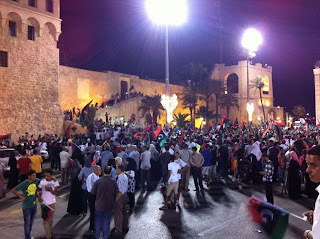 Libya enacted this week the law regulating political parties in the country. We have been waiting for this law for so long since Gaddaffi banned political parties in the 70s. I haven't read the text of the law yet but according to the news parties with a regional, Islamist or tribal agenda could be the big losers if this law is upheld. 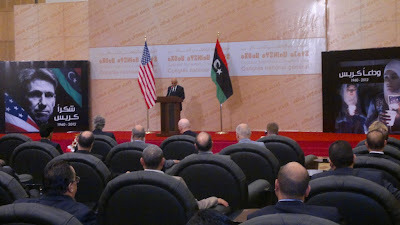 "Libya has banned parties that have a religious, tribal or regional platform. Parties are also banned from receiving any foreign funding." Although the article postulates that the "bombings are seen as connected with the abortive attempt by unknown gunmen to storm Benghazi’s central prison nine hours earlier" , I believe that there might be some sort of link to this law whereby federalists and Islamist parties would rightfully feel cheated. Though I don't support either tendencies I would still not marginalize them but rather allow them a democratic platform to voice their demands in the new Libya and let the 'best' one win. Either we Libyans vote wisely and get on with our life or we learn from our mistakes. But we Libyans have learned from Grand Master Gaddaffi himself in terms of twisted thinking and even Highlander is not immune to this ! Libya: on the precipice of a civil war? A number of Libyan cities and regions have been angry and disappointed by the NTC and the interim government and also by their compatriots from other regions, first some of them called for federalism as I mentioned in my previous post and now one is threatening secession .
" [If the NTC] comes and discusses and negotiate with us we might reach some agreement and if they say no then we will try to close our borders and defend our revolution then we will create a separate state in this region"
The video is not a translation as the interview was made in English, but I may have misunderstood the statement as the interviewee is not a native English speaker ? also it's a one minute clip so no idea what was said before or after so cannot judge but the statement sounded pretty strong and I cannot judge what is the percentage of the population that backs it up. One down more to go ?wondering if the fight for Libya is already lost and if the Gaddafi curse is proving correct after all? No further comments at the moment from my side, need to reflect more on this. 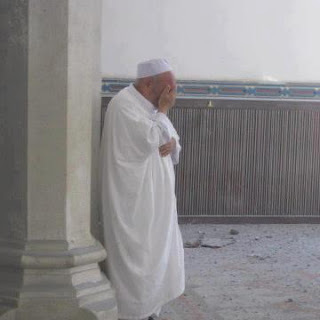 A prophetic nightmare or just a dream in Libya? With the uncharted rolling power cuts that we have been having in Tripoli for over a month now it's been disruptive to planning your day/evening and work, so sometimes you just have to manage ad hoc and take your naps when you can and finish some late work when you can too. For example you are planning to work on a report after dinner and when the house is quiet only to be 'surprised' by the electricity going off at 8 pm, since it won't be back before 11 pm at least and it's cold and you'rw freezing, there is not much to do really except go to bed. While I fell asleep, I started dreaming that I was having difficulty swallowing and something was choking me in my throat; so in the dream I'm there poking my fingers inside my mouth trying to find the obstruction. Moving around I discover a string which I start to pull at with both my hands just like a floss string that I'm pulling out of my throat it seems. I feel better each time a section of it is coming out and it's really long, black and full of dripping mucus, this keeps going apparently for hours in the dream as I'm aware of monitoring the process with a wall clock, until finally I kind of hit rock bottom with this and the string is pulling at something in my throat and this part is now painful so I look in the mirror to try assess what is it that is stuck to the string only to find out that it is woven or pierced into the uvula in my throat ( believe me I had to check this term online as I never knew it although from numerous Tom and Jerry shows I knew what it was supposed to look like :P ). In the dream, when I see this I know that I can no longer remove this string on my own and will need some type or surgical assistance, just like removal of a piercing but I have the fear of loosing the string if I put what's left of it back in my mouth. I'm already gagging at the thought.. so I cut the string to a manageable lenght about a metre and leave it hanging out of my mouth and simply continue freaking about how did I ever get into this kind of situation anyway...and I wake up when the lights in my room are back because the electricity in real life is back! Classes usually start between 8.15 and 8.30 am and I can see busy parents rushing by with their children. Today I noticed a large crowd in front of a primary school and the fathers were gesticulating angrily and actively discussing some issue. It is worth nothing that public schools officially started on January 7 after about one year of disruption caused by the war that gripped the country; but the situation has not been ideal as not all Libyan school children are back to school as planned. There are some displaced in camps with their families in awful situations and others living in the destroyed cities that saw the most fighting after the liberation of Tripoli while others have their schools turned into refugee camps etc.. So I approached to see what was it that caught the attention of the parents on the notice board outside the school gate. It was an announcement about reduced school hours due to lack of teachers and school books. The men were causing quite a commission and I overhead some of them saying "what have we gained from this revolution? the first things that has gone out of the window are safety, health and education. It was better in Moammar's era at least things were functioning and schools were organised. He must be laughing at us in his grave and if he could talk would have said I told you so!!!" The guy was obviously very upset because for 3 weeks now schools have been yo yoing back and forth and people are worried about the future of their children. The security situation though not at war is very difficult one with people armed to the teeth and trigger happy. As for health, knowing what health was before you know that now it is a hopeless case so many would sympathise with the sentiments and statements of this individual without necessarily being Gaddaffi fans or remnants of his regime. This is the feeling expressed by ordinary people on the streets after the euphoria of the revolution has subsided, the harsh realities of a post-conflict state are hitting home those most vulnerable among us and making them almost miss Gaddafi who now seems like a 'benevolent dictator'. If interim government and qualified Libyans do not get a grip on things I'm afraid that the goodwill of Libyans will be lost, the martyr's blood would have gone in vain and we either start a new civil war or will turn into another Khalifate. Today's post is pessimistic, hopefully next time there will be a more positive outlook ! Libya: we will not forget our brave ! .... will we ? An initiative has been launched on Facebook to commemorate the heroes and heroines of Libya, from 1969 till the end of the war of 2011. This definition includes the fallen martyrs, the injured, the imprisoned and of course the missing. Great idea to celebrate and honour these people's sacrifices ! However, where do our raped women stand? they have sacrificed too for Libya and their blood is just as precious and should not go in vain. Males have been raped too, but females have it harder and are unable to reintegrate into society ( if they have survived the experience). We need to acknowledge their sacrifice and give them medals of honour too! This would be one step towards helping remove the wrong stigma associated with 'dishonour and/or loss of virginity' which was absolutely none of their fault.